Camping with Your Intimidator UTV | Intimidator Inc.
One of the biggest perks of owning an Intimidator UTV is being able to go on an adventure. Hitting your favorite trails with friends and family in your BEAST MODE UTV makes for one exciting day. But what do you do when those day rides turn to night rides? Do you head back or do you rough it under the open sky for the night? Intimidator UTV’s are built with plenty of storage and have brute 4x4 and towing capability so that you can take your camping gear with you wherever your next adventure is taking you. Here are some tips and camping gear that may make your overnight camping adventures a little more relaxing with your Intimidator UTV. 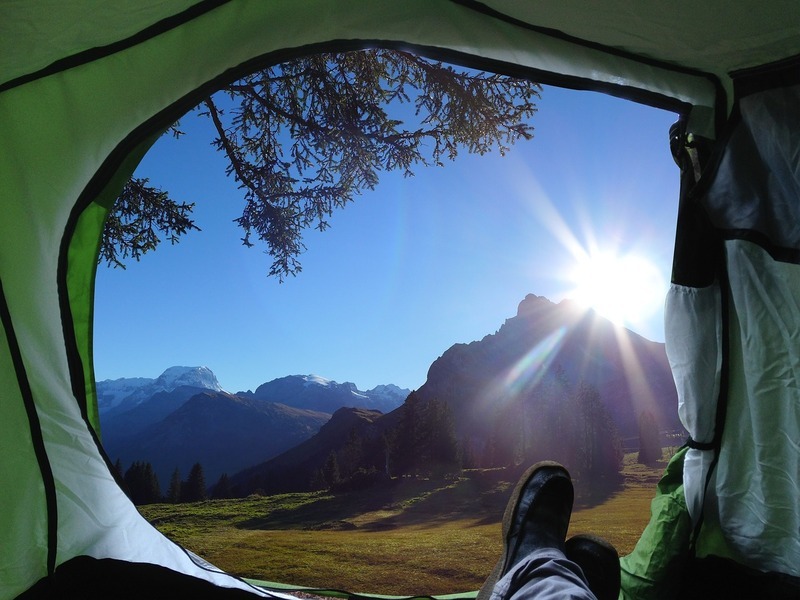 The best camping is when you are able to find a remote location that you have all to yourself. And with an Intimidator UTV, it’s easy to get off the beaten path to find the perfect spot. Take on the night is by taking along some simple camping gear when you take out your Intimidator UTV. Here is a small checklist of the items you may want to bring for a night of primitive camping. This is a light load compared to what our Intimidators can handle, so you can always bring more supplies or more people if you think you need it. There are several small trailers designed specifically to go behind ATV’s and UTV’s. There are even some that come with a pop-up tent. These side-by-side camping trailers allow you to take your tent and equipment and get on the trails quickly. Just hitch your trailer, grab some friends, and get going. When it comes to Intimidator UTV’s, there is no denying that they have the towing power you need. Most Intimidators have a towing capacity of 2,100 lbs. Check with each trailer’s manufacturer to determine the trailer’s overall weight before purchase. You also need to remember that you will be adding in all of your camping gear to the UTV tent camper and the weight can easily add up. If pulling a trailer is not your thing or where you want to go is just not trailer friendly, then adding a UTV roof top tent on your SXS/UTV may be more your style. Not only will a roof top tent free up space for other cargo and people, but since it’s high up off the ground, the tent also keeps you away from creepy crawly bugs and animals who like to visit in the middle of the night. 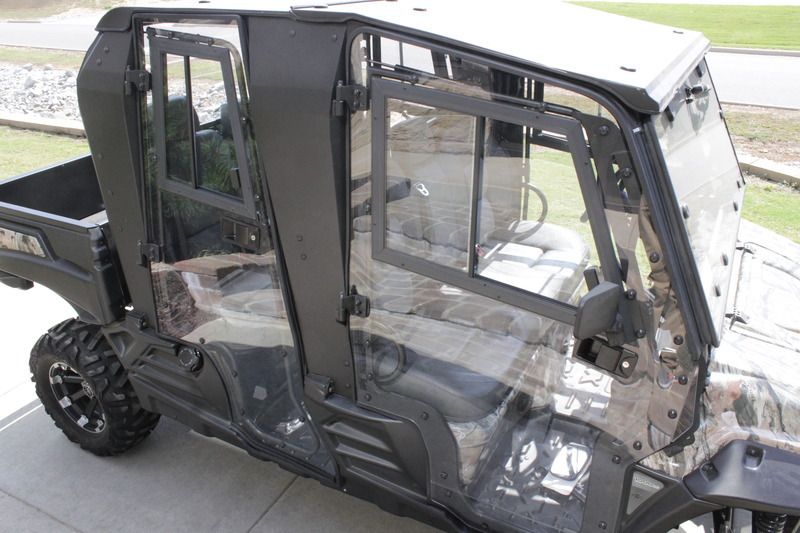 However, finding the right roof-top tent for any UTV may take a bit of research and talking one-on-one with dealers. You want to make sure that you have a sturdy and durable enough top and that the tent you choose is the right fit. NEED MORE INTIMIDATOR ACCESSORIES AND GEAR? Intimidator has a wide selection of accessories for Intimidator UTV’s. From bumpers to lights to full cab enclosures, Intimidator UTV has the accessories you need to make your side-by-side the vehicle you want it to be. You can check out all of the Intimidator UTV accessories on our website or visit our partner company Bad Dawg Accessories for all of your UTV/side-by-side accessory needs. Whether you choose one of these options or another option not on our list, there is no doubt that you will have an adventure when you take out your Intimidator UTV out on the trails for an overnight party. Each one of the above camping options has their pros and cons, but nothing beats throwing away your to-do list, turning off the screens, and enjoying a night of primitive camping under the stars. Don’t have an Intimidator UTV? Find an Intimidator DEALER near you today by clicking on the DEALER LOCATOR. Don’t forget that you can also BUILD YOUR OWN INTIMIDATOR.